Conductive hearing loss happens when sound waves cannot reach the inner ear due to a blockage of some kind, such as fluid or earwax buildup. This type of hearing loss can usually be treated. 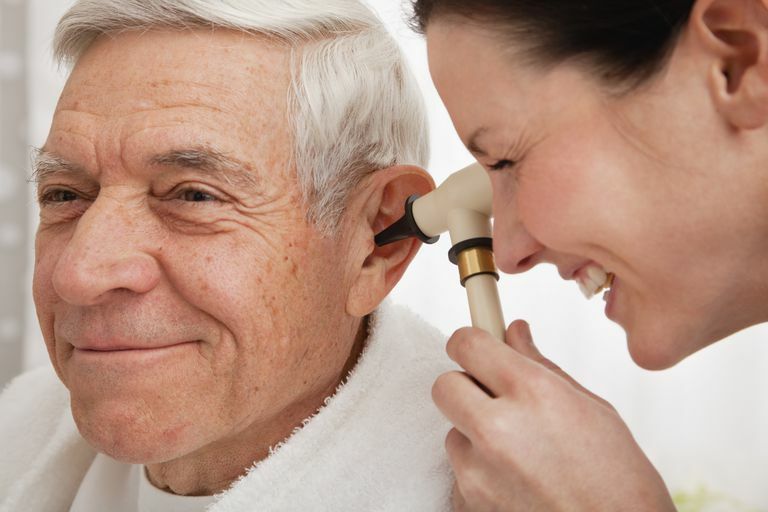 Sensorineural hearing loss occurs when there is damage to the inner ear structure or the nerves that relay information from the ears to the brain. Unfortunately, sensorineural hearing loss is permanent. Mixed hearing loss occurs when you have compounding factors of both conductive and sensorineural hearing loss. Age-related hearing loss and noise-induced hearing loss are common in the United States. Here is more information about these conditions, as well as other causes of hearing loss. Fluid in the ear can occur with or without an active ear infection. It is frequent in children and can be difficult to diagnose since it may not cause any symptoms. Someone with fluid in the ear may feel like their ears are plugged. Hearing with fluid in your ears is like trying to hear with your head under water. This type of hearing loss is reversible and usually treated with the insertion of synthetic ear tubes, which open up the auditory tube and allow the fluid to drain. Ear infections, especially when accompanied by fluid in the ear, can cause hearing loss. This is usually temporary. However, frequent infections can lead to the development of scar tissue, which sometimes causes hearing loss that may or may not be reversed. Barotrauma is caused when there are rapid changes in ambient pressure (the pressure in the environment), like when you take off in an airplane or go scuba diving. If you ascend or descend too quickly, the air in your middle ear will not be able to adjust to the ambient pressure and your eardrum could rupture. Ear wax blockage can reduce your level of hearing by occluding the ear canal. Removing the earwax will restore your hearing to normal. Earwax should be removed by a doctor and never with a cotton swab -- you don't want to push the wax further into the ear and actually make the blockage worse. Noise-induced hearing loss is related to damage to the inner ear as a result of damage by loud noises. This can be a gradual process caused by prolonged exposure to loud noise (typically 80 decibels or higher), or it can happen suddenly when very loud noises, such as a gunshot, rupture your eardrum. If the hearing loss is brought on gradually, it is usually not reversible. However, sudden hearing loss from a ruptured eardrum will almost always go away once the eardrum has healed. Aging (presbycusis) occurs as you get older and is a common condition. The amount you lose -- and how early in life you lose it -- seems to be hereditary. You may be surprised that for most of us, our hearing starts to decline after the age of 20. It is unusual to go completely deaf from this type of hearing loss, although the decline in your hearing is permanent. The good news is that there are treatments available that can greatly improve your quality of life. Infectious diseases can cause hearing loss, including measles, mumps, meningitis & scarlet fever. Pregnant women who have infections such as rubella or herpes can pass them on to their unborn child and give birth to hearing-impaired or deaf infants. Injuries, particularly traumatic head injuries, can cause hearing loss. This may or may not be treatable, depending on the circumstances. Medications, including some antibiotics, can cause hearing loss. These drugs are called "ototoxic." If you have started a new medication and suddenly experience changes in hearing, you should notify your doctor immediately. Hearing loss caused by ototoxic medications can be temporary or permanent. Also, if you have ear tubes or a ruptured eardrum, and you insert ear drops (such as drops used to dissolve earwax) or substances used to prevent swimmer's ear (such as vinegar, alcohol or baby oil), you may damage your inner ear. Congenital hearing loss occurs when you are born all or partially deaf. There are literally hundreds of conditions (more than 400) that can cause this -- for example, it is possible to be born without all or some of the three bones in your ear that are essential for hearing. Congenital hearing loss is also associated with certain syndromes, including Down syndrome, usher syndrome, treacher collins syndrome, and microtia. It can be purely genetic and can also be caused if a baby is born prematurely (before the structures in the ear have fully developed). Complications during pregnancy, including toxemia and certain infections, can also lead to congenital hearing loss. Depending on the situation, congenital hearing loss may or may not be permanent. While many birth defects that cause this type of deafness cannot be reversed to normal, cochlear implants are making it possible for many children with congenital hearing loss to hear again. It should also be noted that babies can be born with fluid in their ears. This is not really considered congenital hearing loss. If your baby fails their first hearing screen because they have fluid in their ears, their hearing will return to normal once the fluid is gone.